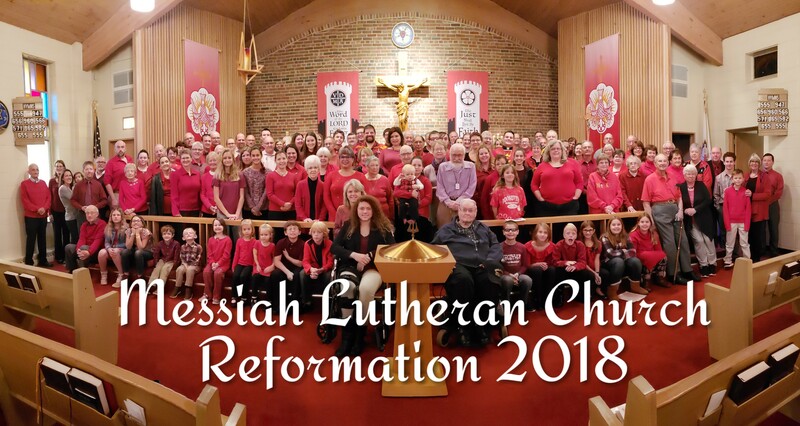 Messiah Lutheran Church is a congregation gathered by Jesus Christ through the Holy Spirit around His saving Word and Sacraments. At the center of our life together is the Divine Service of Jesus Christ, the Lamb of God who takes away the sins of the world. By His holy cross and resurrection, God gives us forgiveness and new life in His name. We joyfully hold to the teachings of the Bible as they are confessed in the Small Catechism of Martin Luther. For more information, please see our beliefs page. We invite you to share with us in these gifts and so to grow in the grace and knowledge of our Savior Jesus Christ. Through Him we are called out of darkness into God’s marvelous light. 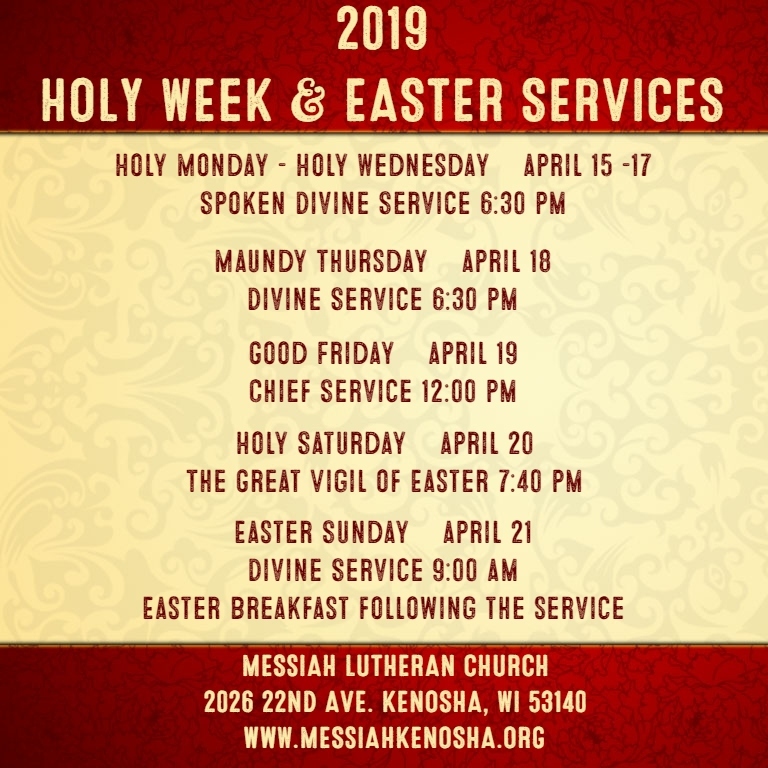 We hold the Divine Service with the Lord’s Supper every Sunday morning at 9:00 am, with fellowship time, Sunday School, and adult Bible study following the service from September through May. We also have services on Wednesday evenings during Lent and Advent at 6:30 pm.